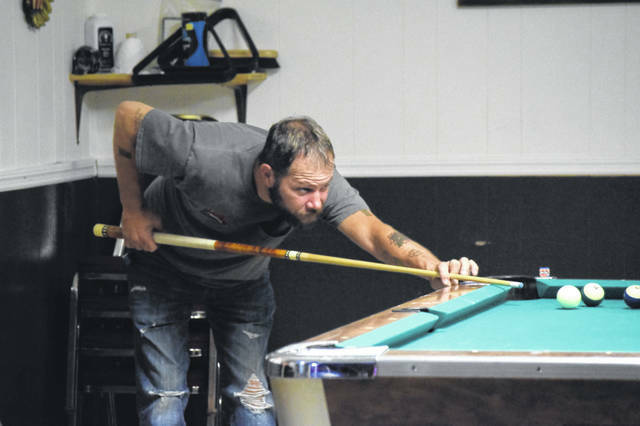 There has been Preble County Pool League for roughly 25 years, involving community bars like VFW Post 8066, American Legion Post, the Eagles 2202, and other county bars. The group kicked off its season on Thursday, Sept. 13, by playing at VFW Post 8066. EATON — There has been a Preble County Pool League for roughly 25 years, involving community bars like VFW Post 8066, American Legion Post, the Eagles 2202, and other county establishments. The group kicked off its season on Thursday, Sept. 13, by playing at the VFW Post 8066. The season will end at the end of April or beginning of May. VFW Commander Brad Bush joined the pool league after he came back from his deployment to Afghanistan. He has been a member for six years. “It gets different people coming into our bar. Not just coming in to spend money, but to see the VFW and see what we’re doing here. They can see the decorations that we have up, that will maybe be a reminder to them of somebody they knew from their past who served,” Bush said. The league will play at different bars every week. More information can be found on the Facebook page, Preble County Pool League. 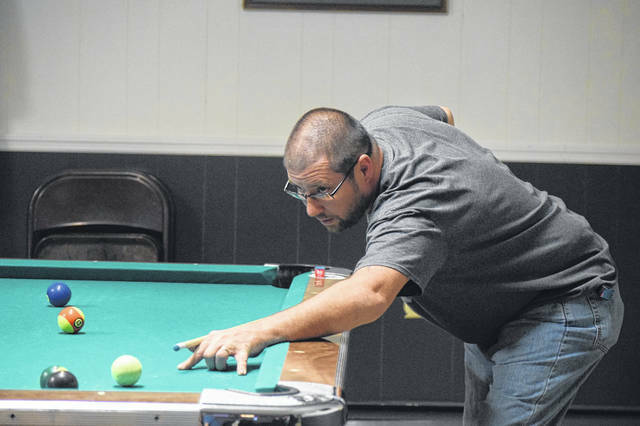 https://www.registerherald.com/wp-content/uploads/sites/41/2018/09/web1_Pool2.jpgThere has been Preble County Pool League for roughly 25 years, involving community bars like VFW Post 8066, American Legion Post, the Eagles 2202, and other county bars. The group kicked off its season on Thursday, Sept. 13, by playing at VFW Post 8066.